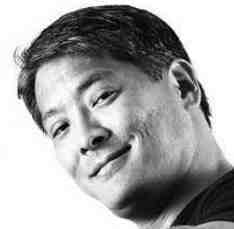 On Aug. 30, 2017, Sumiteru Taniguchi passed away from cancer. He was 88 years old. As a living hibakusha (atomic bomb survivor), Taniguchi-san had first hand knowledge of how devastating a nuclear weapon can be and he used his voice to speak out against nuclear weapons. I first met Taniguchi-san in 2009 at the World Conference Against A- and H-Bombs (WCAAHB) in Nagasaki. The annual conference meets in both Hiroshima and Nagasaki and brings together peace advocates from around the world. Taniguchi-san came to the closing reception to meet with us and encourage us to continue our pursuits for a world free of nuclear weapons. I have to admit, when I first met him, I really didn’t know who he was or anything about his experience. I only knew that he was a famous hibakusha from Nagasaki. Later in the evening, Taniguchi-san was talking to a couple of us when someone asked him if he could show us his scars. He slowly unbuttoned shirt and lifted it over his shoulder and my eyes grew wide and I’m sure by jaw was touching the floor. I could not believe what my eyes were seeing. His back was completely covered in scars and looked like peanut butter slathered on a piece of bread. The skin on his left side was fused around his ribs, leaving gaping holes in between. You could almost grab his ribs and pull them out. On Aug. 9, 1945, Taniguchi-san was riding his bike, delivering mail when a plutonium bomb was detonated over Nagasaki. He was a little over a mile away from the hypocenter when he was knocked to the ground by the heat blast. His back and left side were completely burned. His skin was hanging from his hand and arm. His back, raw and exposed. The blast was so strong that he said he had to cling to the ground to stay where he was, but he remembers seeing a child literally get blown away. His bike was twisted and useless. Mail was scattered all around, but he mustered up enough strength to gather it all and place it back in the bag next to his bike. He could hear people calling out for help but he couldn’t even help himself. A stranger carried him up to a hillside where other survivors were gathered. At night, he said there were so many fires scattered around the city that it almost looked like it was daytime. The next morning, everyone around him was dead. Rescue crews came by, but he was too weak to call out to them. They thought he was dead too. It would be another two days before he was finally rescued. He spent the next three years and nine months in various hospitals recovering from the burns to his body. One year and nine months of that time was spent lying on his stomach. Initially, he said, he felt no pain because his nerves were dead. But as his body slowly healed, the pain became excruciating. A year later, the maggots came. After his discharge from the hospital, Taniguchi-san became an outspoken advocate for the abolishment of all nuclear weapons. He was active in the Nagasaki Atomic Bomb Survivors Council since its inception in 1956 and served as the chairman since 2006. He was appointed co-chair of the Japan Confederation of A- and H-Bomb Sufferers Organizations in 2010 and since 2008, he also served on the committee to draft the Peace Declaration read by the mayor of Nagasaki at the annual ceremony. He traveled throughout Japan and the world to talk about his experience, to show people his scars and to urge people and world leaders to abolish nuclear weapons. At one point, he contemplated suicide, but as he stood on the top of a hill overlooking the sea, he thought that it was better for him to speak out on behalf of all the people who were killed by the atomic bombs. It was better to live for those who died. I was lucky enough to interview and photograph Taniguchi-san for the Hibakushas’ Legacy: Hope for Peace project, which is preserving the hibakushas’ stories. We are in the process of interviewing over 100 hibakusha from Japan, South Korea, Taiwan, Canada, Brazil and the United States, so that future generations can hear Taniguchi-san’s story and other hibakushas’ stories first-hand and learn what happened to the people who survived the nuclear attacks on Hiroshima and Nagasaki. I am sad that we have lost one of our champions for world peace. The last time I saw him was again at the WCAAHB in Nagasaki in 2015. I could see that he was slowing down and his speech had become slurred. But his passion and spirit were as strong as ever. He managed to stand in front of over 2,000 fellow peace advocates to encourage us to continue to fight for a world free of nuclear weapons. 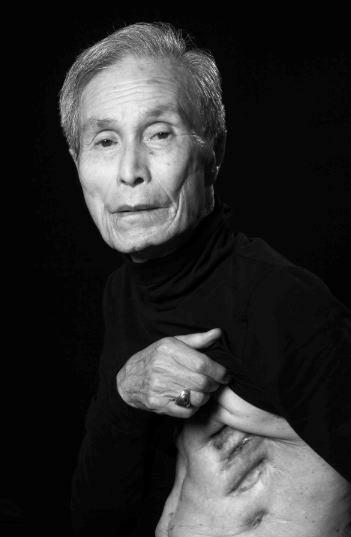 His courage and strength to publicly speak about his experience, at a time when most survivors kept quiet due to the stigma attached to being a hibakusha, as well as speaking out against nuclear weapons, in a culture that is raised to be silent, is truly admirable. His hope, as is the hope of every hibakusha I have ever spoken with, was to live in a world free of nuclear weapons. I told him that I would do what I can to tell his story and to help make his dream come true. Unfortunately, this did not happen during his lifetime, but I am grateful that he lived long enough to see the progress that had been made due to his and other peace advocates’ hard work. On July 7 of this year, the United Nations adopted the Treaty on the Prohibition of Nuclear Weapons, which basically states that any nation that signs the treaty agrees never to develop, test, produce or stockpile nuclear weapons, nor transfer or receive such weapons, never to use or threaten to use nuclear weapons and to assist anyone affected by a nuclear weapon. This treaty is now open for signatures at the U.N. General Assembly meeting being held in New York City. As of the date of this writing, 53 nations have signed it and at least 122 out of 190 nations are expected to do so. The United States is not expected to be one of them. Rest in peace, Taniguchi-san. Because of you, and all of the hibakusha who have gone before you, we will continue to campaign for a world free of nuclear weapons. Darrell Miho (www.darrellmiho.com) is from Temple City and graduated from Cal Poly San Luis Obispo. A resident of Las Vegas, he worked for Sports Illustrated and is now a freelance photographer. 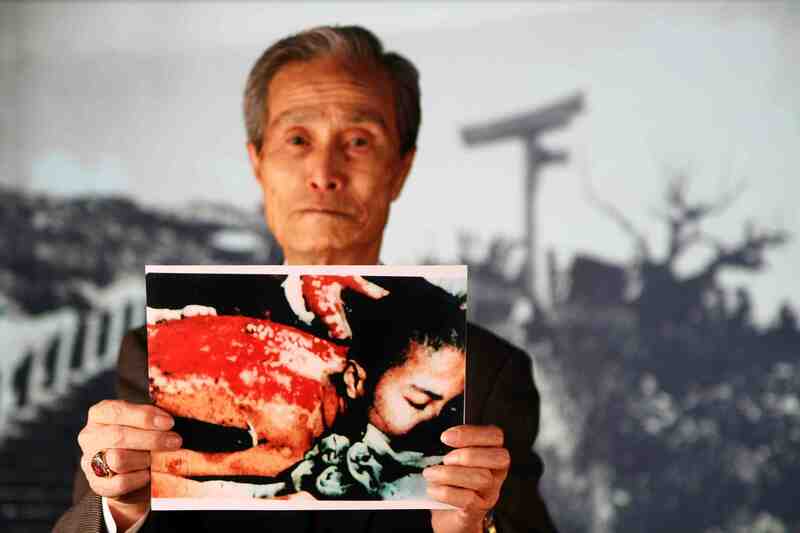 For more information on his work with A-bomb survivors, visit http://projecthibakusha.blogspot.com. Opinions expressed are not necessarily those of The Rafu Shimpo.